Peter loves The Sims series. We discussed that, partially, in the first entry. For that reason, today he’ll be able to discuss the game far better than I could. 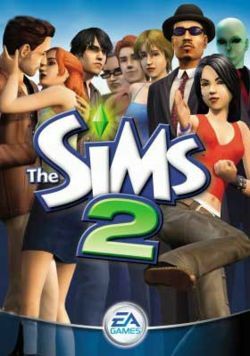 I can not begin to fathom how much of my early-mid teens play The Sims 2 but all I know is that I had 5 fully fledged generations with an entire brood of children named after the sisters from Charmed and (for some reason known only to myself) Joaquin Phoenix. Anyway, to the task at hand. For our playthrough of The Sims 2 we went for a pure vanilla mode with none of the extra content that EA like to trot out for the series. It wasn’t for the sake of playing this game as would be expected according to the list but because I lost my activation codes for the two expansion packs that I own… still I didn’t like sending my Sims to university anyway. The main idea behind the gameplay is primarily unchanged since the first incarnation of this series. Create a family, raise a family, turn them into ghosts by drowning them. Lather, rinse, repeat. Added onto this is a complete overhaul of everything else with the big game changer; aging. It was always a problem in the original game where you would create a couple and after you had them copulate like bunnies you could be left with a house with 5-6 children and then that’s the game set until the end of time. Now, those little brats can grow up, move out, get jobs and have their own children. This is a huge game changer since suddenly the family you create go through the standard stages of aging (baby, toddler, child, teen, adult, elderly, ghost) and if you don’t actually force them into making proactive steps you’ll be left with an empty house pretty quickly. Another big change brought in the sequel was the much appreciated weekend. As enjoyable as the original game was it did become pretty repetitive with your characters all having to attend work (or school) every single day. Now, in The Sims 2, your characters actually have days off to do whatever you want them to do whether it be buying groceries or starting an affair with Mortimer Goth. OR you could take advantage of the new life goals/aspirations and fear system where eating a grilled cheese could be the final thing needed before you can buy a money tree. Sound weird? Well it’s The Sims 2 what would you expect? When you bring this together with the new genetics system (which can result in some rather unsettling looking children) and the magnificent steps in making this game as customizable as humanly possible (at the time) this was so much of an improvement over the first that I find it hard to play it nowadays. The Sims series is pretty much a sandbox game, and the additionsof goals and aspirations in this game happily add some goals so you don’t feel completely lost. The addition of aging adds more of an ongoing story rather than some odd static world, which makes for a lot more fun. With all of that, I can only hope the third game will bring more interesting things to the table.